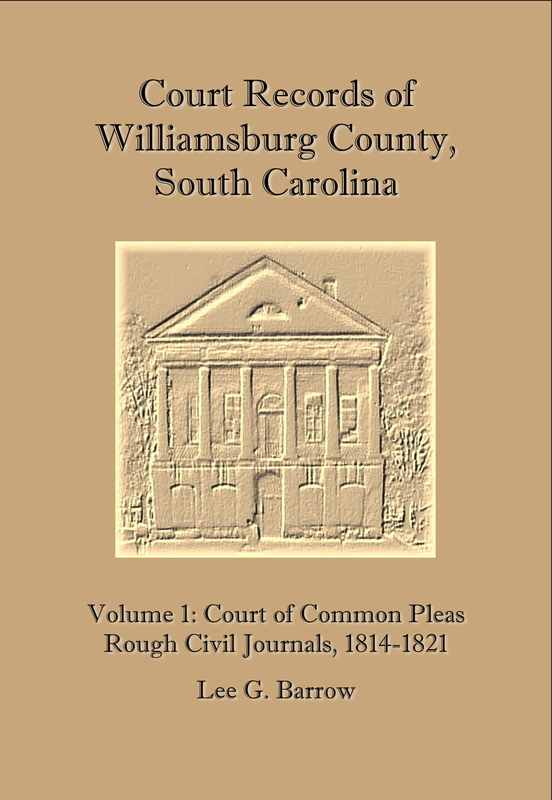 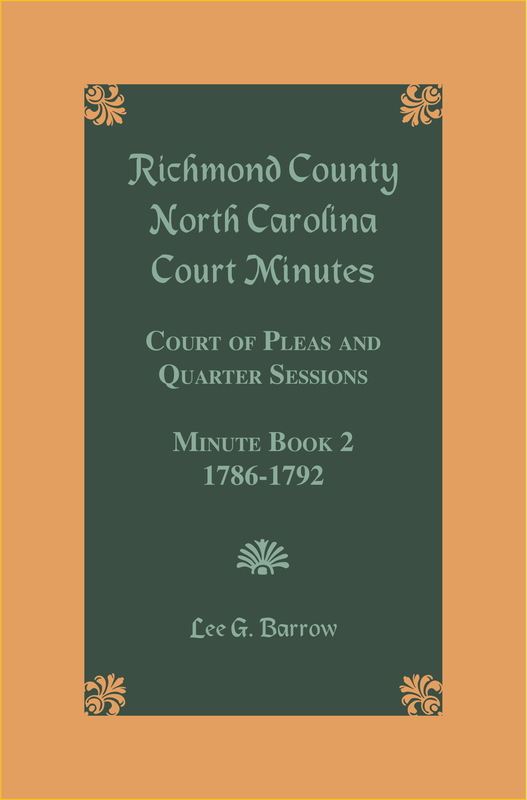 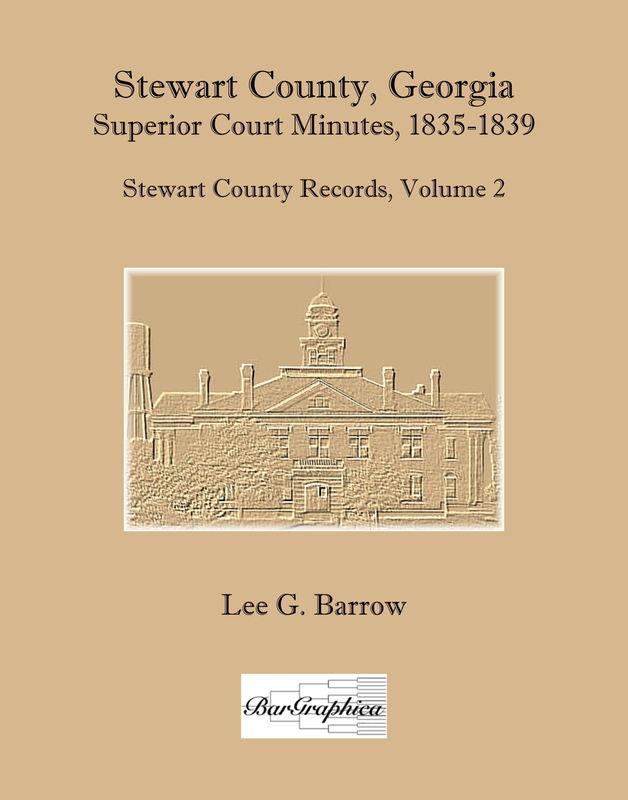 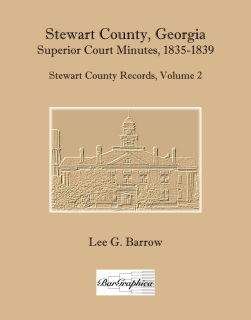 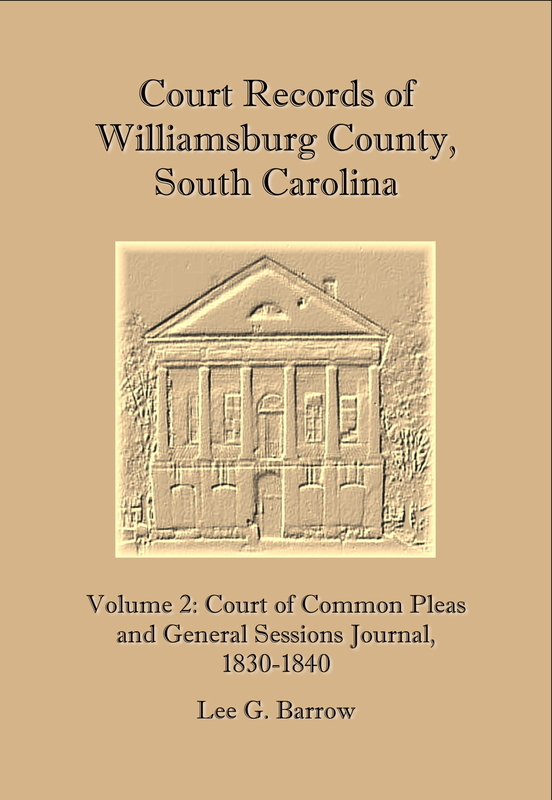 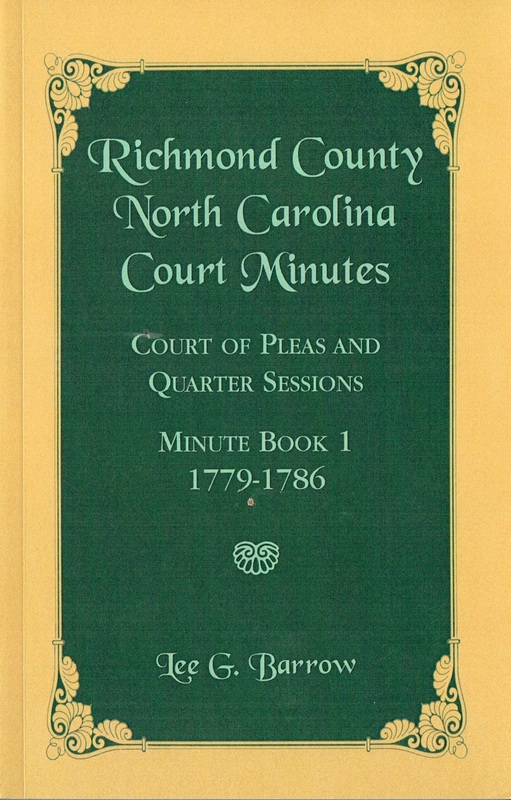 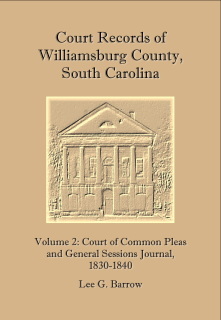 This complete transcription of the Journal for the Court of Common Pleas and General Sessions includes lists of jurors, county officers, guardians, executors, estate petitions and other court cases from 1830 to 1840. 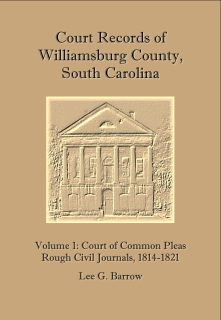 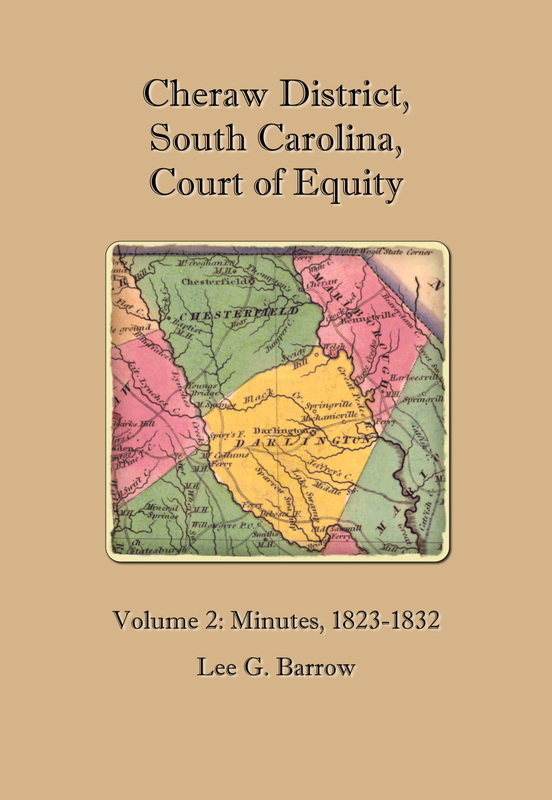 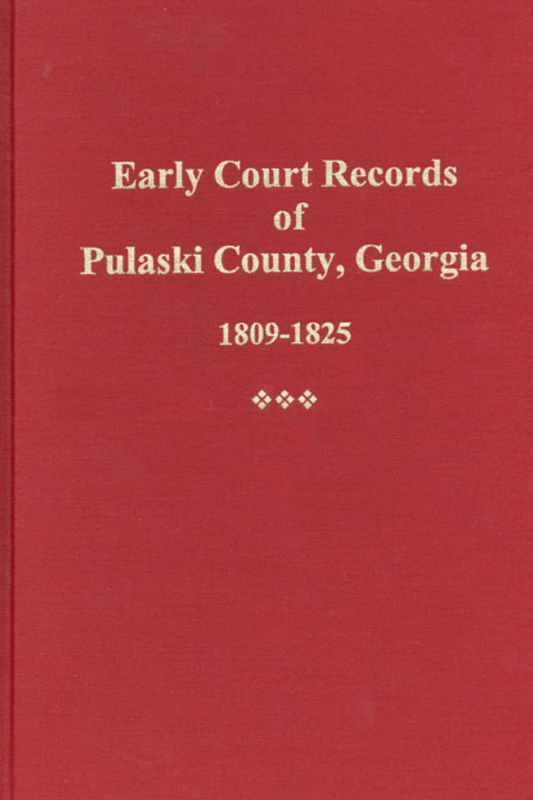 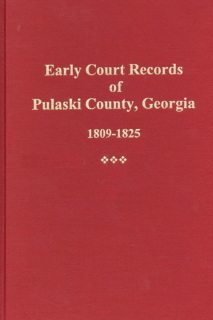 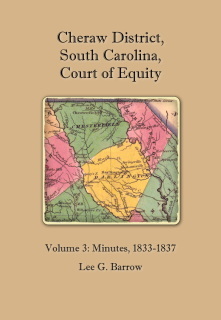 These records prove to be a valuable source of information about relationships, locations, ages and other facts about persons who lived in Williamsburg County during this period of time. 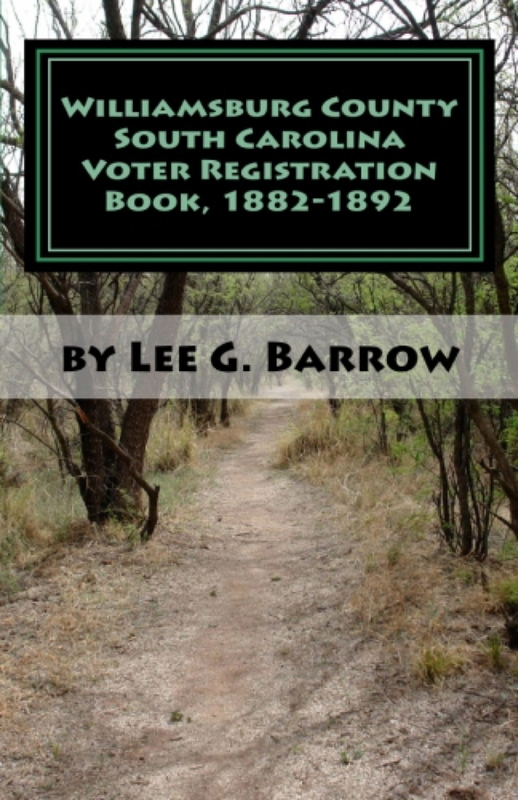 The full-name index includes almost 1,500 names, cross-referenced for spelling variations. In the text, all names appear in bold in order to assist the reader in locating them. 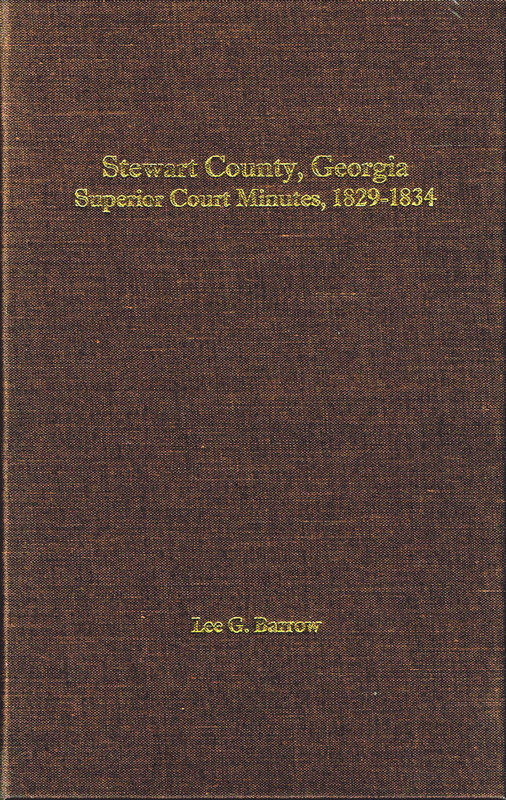 196 pages. 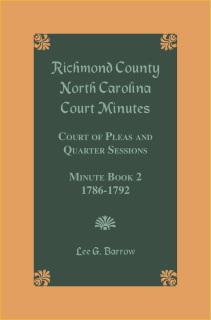 Postage cost reductions for 3 or more books. 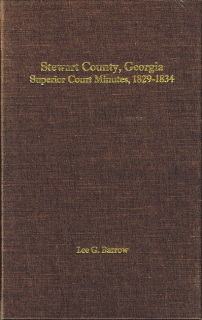 Contact me for details.